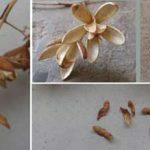 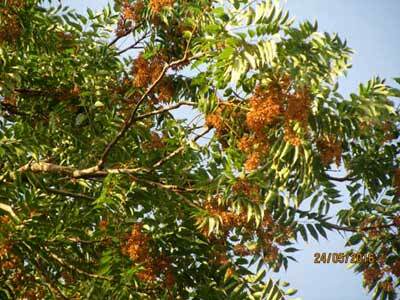 Home » flowering season S » Toon, Toona, Australian Red Cedar, Moulmein cedar, Burma cedar. 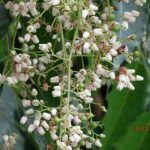 Posted by accion on June 5, 2016 in flowering season S, Others | Comments Off on Toon, Toona, Australian Red Cedar, Moulmein cedar, Burma cedar. 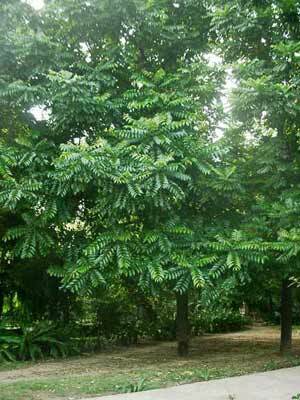 Common Name : Toon, Toona, Australian Red Cedar, Moulmein cedar, Burma cedar. 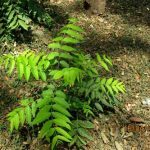 Syn: Toona microcarpa, Toona ciliata. 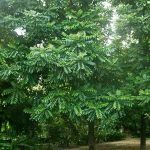 It is a large, fast growing and drought resistant tree, which can grow up to 30 m. tall. 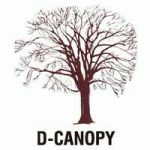 It is a deciduous tree with wide spreading branches. 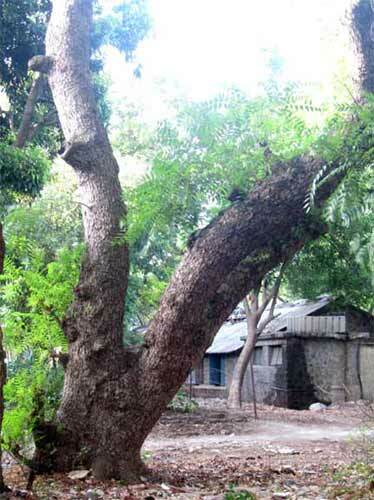 The large grown trees have buttress roots which spread quite far from the tree. 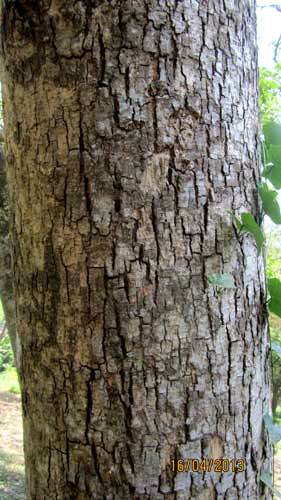 The bark is rough and brownish grey in colour. 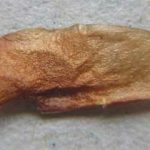 The core wood is reddish in colour. 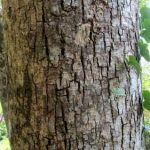 Cedrela wood is used for making furniture, carving and inlay work. Its timber is highly valued. 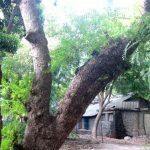 However, due to extensive cutting of the trees for its highly valued timber, this tree has diminished in numbers in many countries. 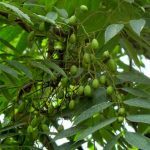 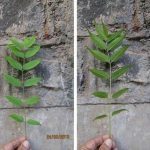 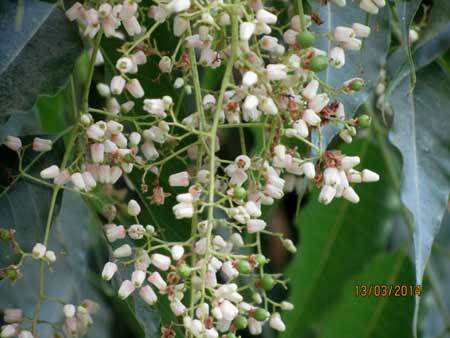 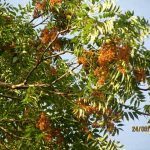 The tree is supposed to have certain medicinal uses and is used in Unani and Ayurvedic medicines. 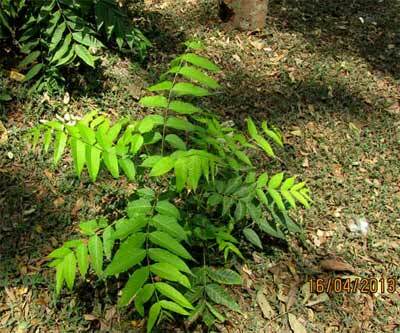 Its origin is supposed to be Australia but now it is naturalized in Tropical Asia, southern China, Himalayas.